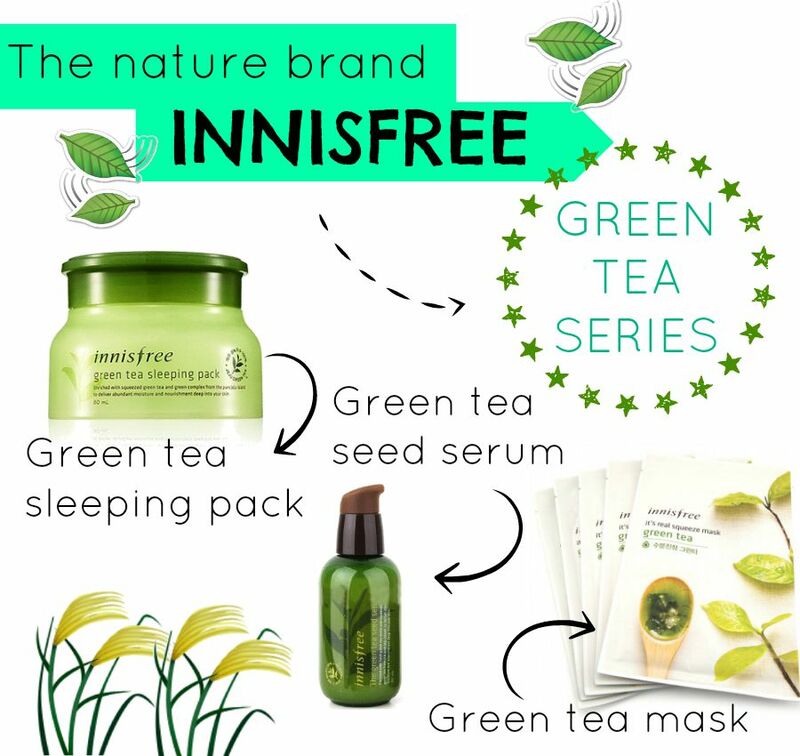 Was introduced to Innisfree products while I was in Korea and I immediately fell in love with it. The products I used felt really natural and thus I would like to do a review regarding them. Will be doing more as I use more of Innisfree products (or any brand actually). To keep my skin moisturized and clear while sleeping. Apply all over your face avoiding eyes and mouth before you sleep and wash it off with water in the morning. It was actually quite disappointing at the start when I use the Green Tea Sleeping Pack. Reason being, I don't see/feel a different. I just know that it's very cooling on my face and it's supposed to moisturize my face. But after a couple of weeks, I realised how my face tend to be less dry and I wake up feeling refresh. But that is after many days later so don't expect result on the first day of using it. One thing to take note: The smell is quite chocking if you apply too much on your face (I woke up having block nose due to this lol). Moisturize (which keep the skin more hydrated) and also be more refreshed. Apply on your face and neck after washing up. The smell isn't as strong as sleeping pack (which is something I am really thankful for) and more watery. Thus I could feel that my skin absorb it faster as compared to sleeping pack? But nevertheless, both are supposed to apply at different timing (i.e. morning & night time). Will definitely recommend this to others since I find it's really important to moisturize your skin in the morning too! Smoothing and moisturizing effect (P/S if you were to ask me, this whole post seems to be talking about moisturizing lol). Adjust your skin texture with toner after washing the face. Take out the mask and apply evenly over your entire face (please don't cover your eyes and mouth). Leave it for about 10-20 minutes and then take off the sheet. Dab the remaining essence gently for it to be absorbed. Peel from bottom to the top to help to 'lift' the face. Facial mask is a perfect skincare treatment and thus I have no reason to dislike it (no matter what brand it is). But sometimes I am a little bit picky about what is being put onto my face (for example, I hate the idea of having egg white facial mask BUT I have to endure this sigh). Thus I was really glad to have this green tea mask sheet! It smells good, feel good and of course I will look good after using it HAHA. In fact I like how Innisfree mask sheet does not have weird ingredients like egg yolk/white and at the same time doing its job like making my skin more moisturize, having glowing skin and replenish nutrients too.